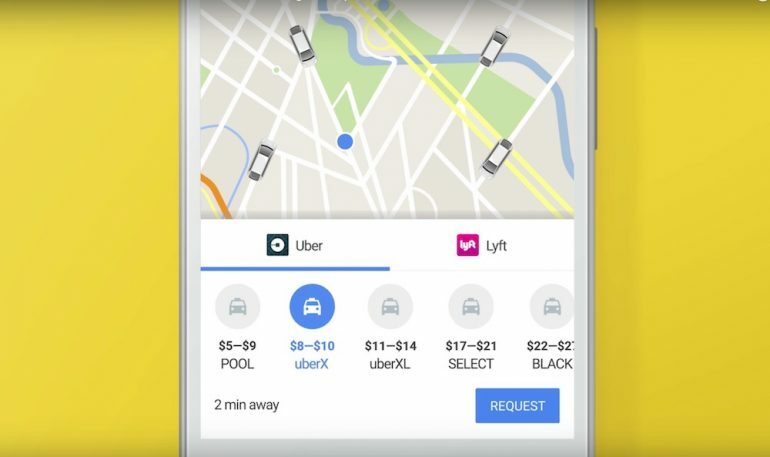 Last year, Google updated its Google Maps app for iOS and Android with better integration for ride sharing services such as Uber. The update allow users to get the time and fare estimate through a dedicated tab, and now, it looks like Google is taking things a step further. The company has just updated its Maps app, allowing you to book and track an Uber ride without leaving the Maps app at all. 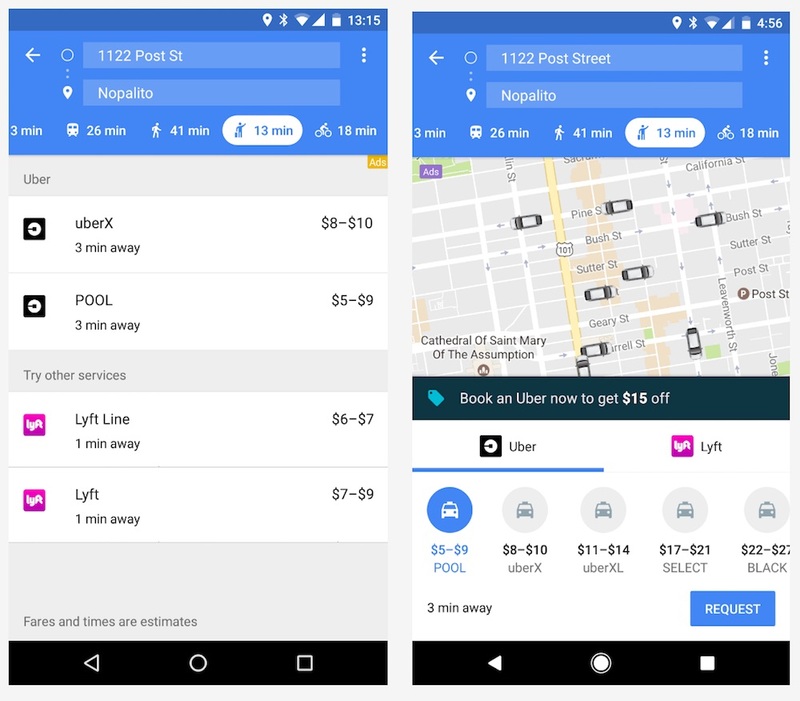 The updated Google Maps app will have a slightly redesigned interface for the ride service tab. Once you open it, instead of a long list of ride service providers, you will see a map interface, with a carousel of ride service providers on the bottom; it will even show you special offers or promotions. To book a ride, simply tap on “request”, and you’re good to go. According to Google, you don’t even need to have the Uber app installed on your device. Just sign into your existing Uber account on Google Maps, and you can book, track, pay for your ride, and connect without leaving the Google Maps app. With the update, you can look for your destination, check the traffic and estimated time it takes to get you there, and order a ride from Uber all from one app. On top of that, while you are on the ride getting stuck in traffic, you can even browse for places to visit at your destination, hours, menus and other helpful details from the same app. Sadly though if you were hoping to make use of the update to get to your lunch appointment later today, you might not be able to do so. 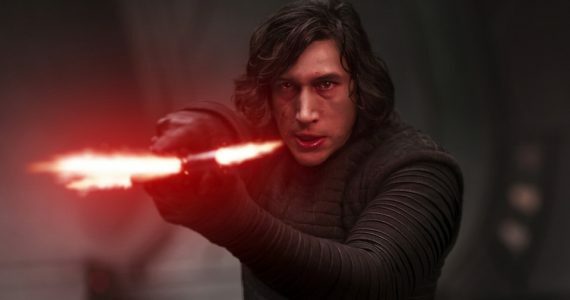 Google says that the update is “starting to roll out” globally, but it is not available for us at the time of writing.